사운드트리는 룸 어쿠스틱과 엔터테인먼트 사업을 기반으로, 프로/하이파이를 넘나드는 다양한 오디오 시스템 및 기기들을 소개하고 있습니다. 사운드트리의 주요 사업 영역은 아래와 같습니다. 영국의 하이엔드 스튜디오 모니터 스피커 ATC, 일본의 무지향성 스피커 Falcon Lab, 그리고 대만의 오디오 명가 MA사의 케이블들과 전기 접지 기술, Tellurium Q 케이블 등 객관성이 검증된 최고의 오디오 기기만을 취급하고 있습니다. 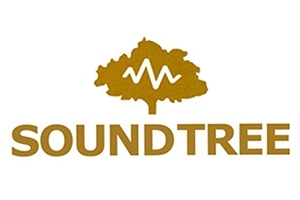 Sound Tree is a leading, highly-versatile music production company, dedicated to helping its clients achieve their goals of a top-notch workshop session including recording, mixing, studio quality mastering, and innovative room-equipped acoustic pioneering. Furthermore, Sound Tree holds true to its core value by delivering an innovative, forward-thinking service with an open mind to fit the client’s needs. Copyright © Monitor Acoustics 靜神 All Rights Reserved.